The government has allocated an additional amount of money known as the Pupil Premium, which is additional to main school funding. Schools now receive extra cash through the Premium for every child registered as eligible for free school meals (FSM) at any point in the past six years and children in care who have been looked after for six months or more. The government believes this is the best way to address the current underlying inequalities between children by ensuring that funding to tackle disadvantage reaches pupils who need it most. Schools are obliged to report annually on how they spend this money and what impact it has on pupil progress. 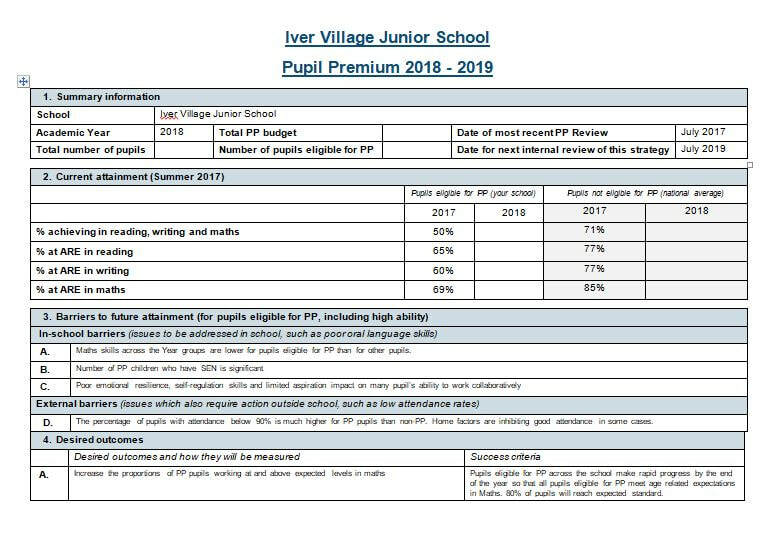 Please click the thumbnail above to read the full Pupil Premium Report.